Everybody loves to complain about the legendary traffic here in Atlanta. Turns out it is relatively less congested for its size than most other places. 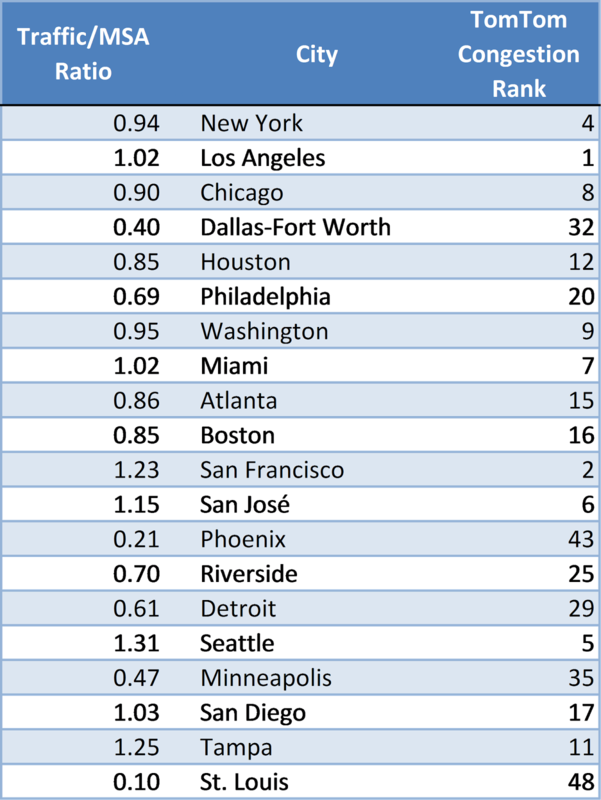 15th in congestion for the 10th largest MSA. Everybody loves to complain about the traffic in their city. 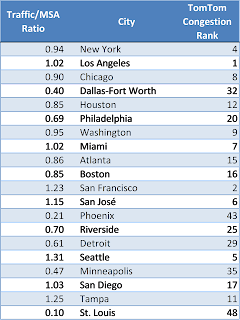 Tom Tom's Traffic Congestion Index Ranking set against relative size for the top 20 Metropolitan Areas. It is very good not to be Seattle, San Fransisco or San Jose.